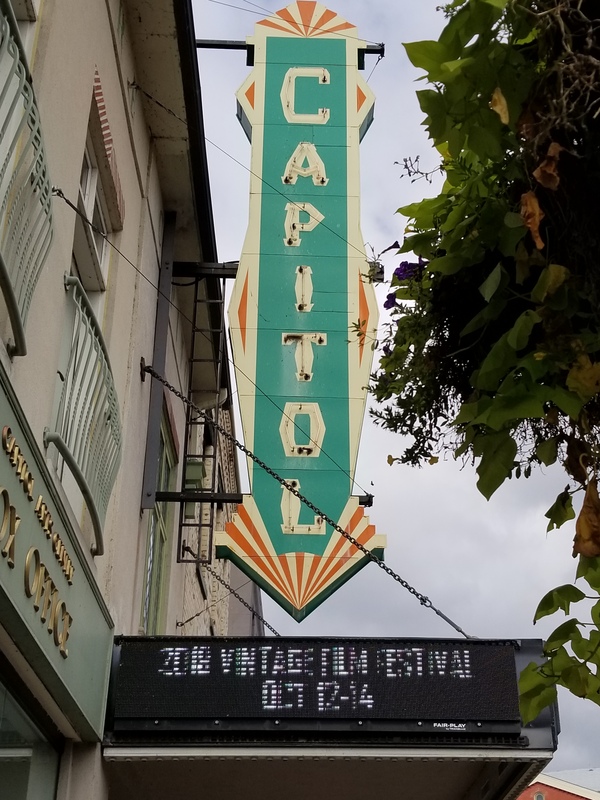 The historic Capitol Theatre in Port Hope, Ontario. An audience member mused about her childhood prior to a screening of the classic western, The Man Who Shot Liberty Valance (1962). The film was shown last weekend at The Capitol Theatre in Port Hope, Ontario. 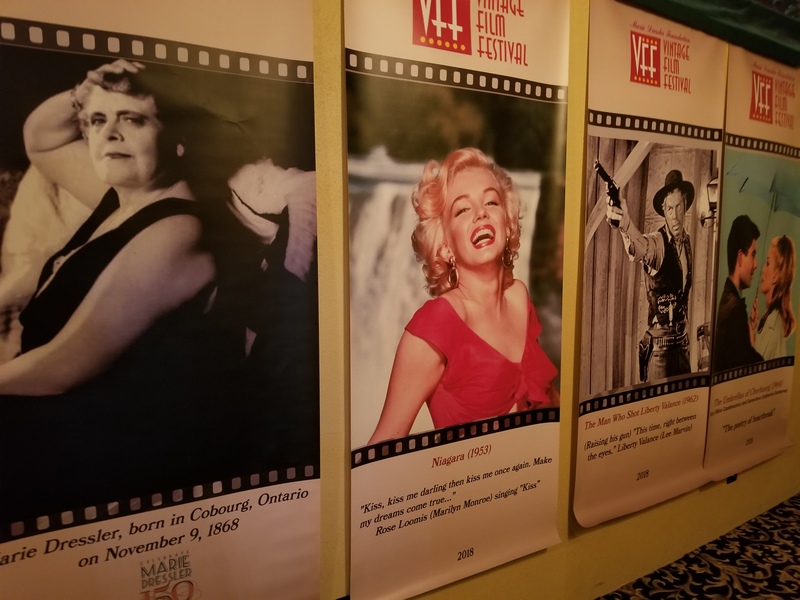 The Capitol was the site of the 26th Annual Vintage Film Festival (VFF), hosted by the Marie Dressler Foundation. 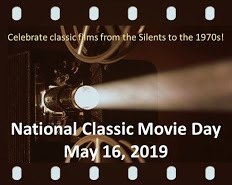 Films shown during the three-day event included the Marx Brothers’ Duck Soup (1933), Charlie Chaplin’s City Lights (1931) and Alfred Hitchcock’s The Birds (1963). The Capitol, which was designated a national historic site in 2016, originally opened in 1930. It was the first theatre in Canada built specifically for talking pictures. The acoustics are marvellous, meant for dramas like The Umbrellas of Cherbourg (1964), a French film that is entirely sung. Or comedies like The Patsy (1928), shown with live piano accompaniment by Jordan Klapman. VFF has the best attributes of a successful film festival: good movies, friendly volunteers and Must-Have swag. Opening Night reception, with dessert. Festival Chair Terry Foord has been with VFF from the Start. Foord, who jokes about seeing some of these films in the theatre when they were first released, believes movies are historical documents offering insight into earlier generations. 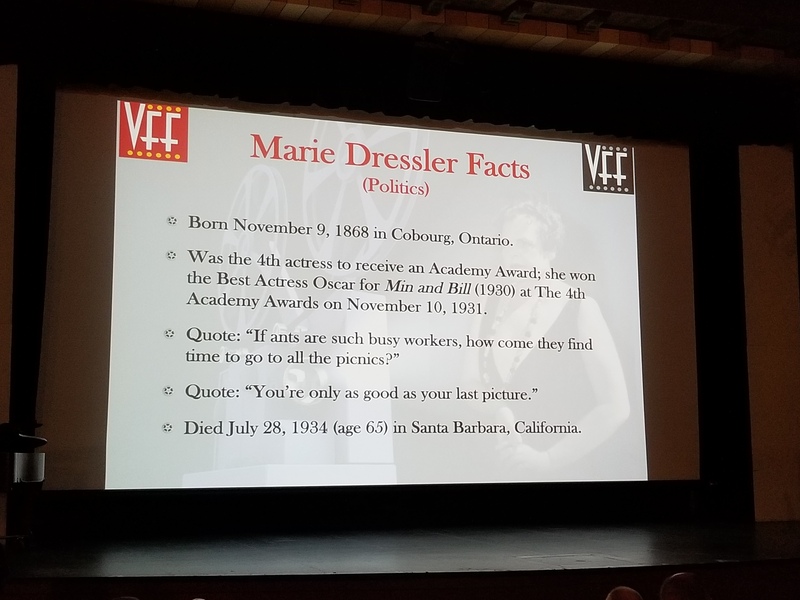 Foord’s involvement with VFF began with the establishment of the Marie Dressler Foundation. He doesn’t refer to himself as a film scholar; he says he learned about classic film from other Foundation members who taught cinema studeis. Cathie Houston, Past Chair and current promotion guru, says the early VFF concentrated on “the Marie Dressler Cannon”. But, as fabulous as Dressler is, a Steady Diet of her films can take a festival only so far. Although the format has broadened over the years, the focus remains on films from Hollywood’s Golden Era. The VFF also holds an annual silent auction, chaired by Houston, proceeds of which are awarded to post-secondary students studying performing arts. “We award four $1500 bursaries per year,” she says, noting there are plans to expand the program. Now, you’re probably wondering what all of this has to do with classic Hollywood actress Marie Dressler. It began when a restaurant caught fire. Marie Dressler Facts. There’ll be a quiz later. Early on a January morning in 1989, a fire was discovered in a restaurant in Cobourg, Ontario. The restaurant had been in operation since the 1930s, when it was converted from a private residence. The residence was where Marie Dressler was born and had spent her early childhood. Some prominent community members began a fundraising drive to rebuild the house in honour of the actress. This became the Marie Dressler Foundation. Cathie Houston says fundraising for the Foundation included events like Dinner and a Movie, until the year committee members went to Syracuse, NY, to see how a film festival was organized. “We realized we could do that,” she says. The first VFF was in 1993. As it grew, it eventually relocated to The Capitol Theatre in neighbouring Port Hope. And Dressler’s house? It’s now a fully-interactive museum designed by master’s students from the University of Toronto. This museum “reboot” opened in 2016, and is an engaging tribute to the Oscar-winning actress. 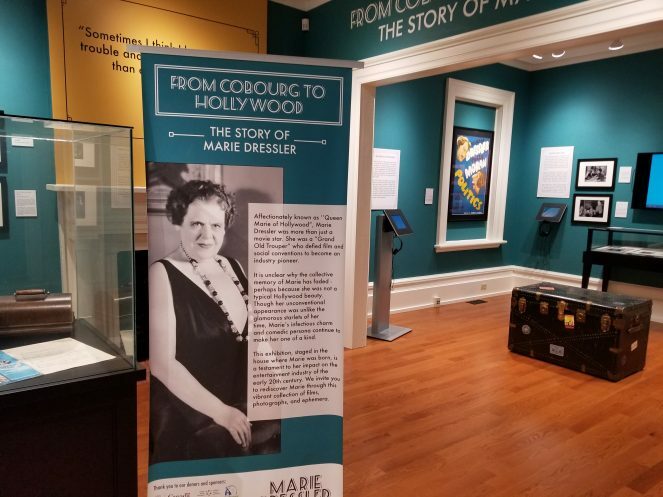 The Marie Dressler Museum in Cobourg, Ontario. So. Is Marie Dressler really worth all this activity? You bet she is. This was after her success on Broadway and in vaudeville – and despite being blacklisted for her support of striking chorus players. Dressler wasn’t considered a classic beauty, but she had guts, determination and talent. You can’t help but love Dressler on the screen, even when she’s a bit hammy. Look at her performance in Politics (1931), one of the films at this year’s festival. Dressler plays a woman Fed Up with crime in her city, and when she’s dismissed as “a silly woman”, she decides to run for mayor. Her character is brave and resolute, someone who confronts corrupt politicians No Matter What. By all accounts, Marie Dressler was this gutsy in real life. No wonder she’s the patron saint of Canada’s long-running vintage film festival. Banners for the 2018 festival. Loved reading this article and vicariously enjoying the Festival through your visit. I keep telling myself “next year”. I’m thinking “next year” just might be “next year”. I hope next year really is the year! I had such a great time. All the film folks were helpful and friendly, and the event is in such an interesting venue. Plus, Port Hope is a gorgeous town – it was my first time there. Hi. I never knew much about Dressler before. Certainly never knew that she used to be the top-grossing actor. Surprising about Marie Dressler, isn’t it? She’s not someone who immediately comes to mind when discussing top-grossing actors, hey? Oh yes, I hope you can get to this festival. It’s SO much fun! Oh, wonderful… would love to go! It’s a fun time. And Port Hope is a beautiful town to visit. Lots of good food. Congrats on your latest award (and on your modesty in not shouting about it to the rooftops!). Ha! Thanks. I was pretty happy. The desserts were FA-BU-LOUS. And they also had these roast beef crostinis which everyone mowed through very quickly. This is amazing Ruth. I wish I was there. Another reminder I live in a country I don’t belong in (an aesthetically depressive country, that has no understanding or respect for the arts, nor do they try to understand it, added to which they look down on the arts, and anyone associated with it). The statement “Movies are historical documents offering insight into earlier generations” is so very true. We can learn so much from movies. Movies made in eras gone by, be it set in their own time period, past or future. Of course, when it comes to Historical films, there are quite a lot of movies made today, that actually ruin history, by sometimes purposely being inarticulate, just for the fun of it; but a good movie, is a piece of Cinema Literature, that can really be educational, no matter when it was made in, or what period it is set in. Really like your account on Marie Dressler. I vaguely remember seeing her in ‘Dinner at Eight’ (1933) alongside Jean Harlow and John Barrymore; but I watched that eons ago. Other than that, am not so familiar with her work. From the banner you’ve posted, Dressler feels a bit like, her contemporary, Florence Bates. I wish you were there, too, and I hope you can make it one year. It’s a well-run festival, very organized, and there’s a clear passion for classic film. That was an insightful statement about films as historical documents, wasn’t it? I agree that modern films that distort history can be annoying. 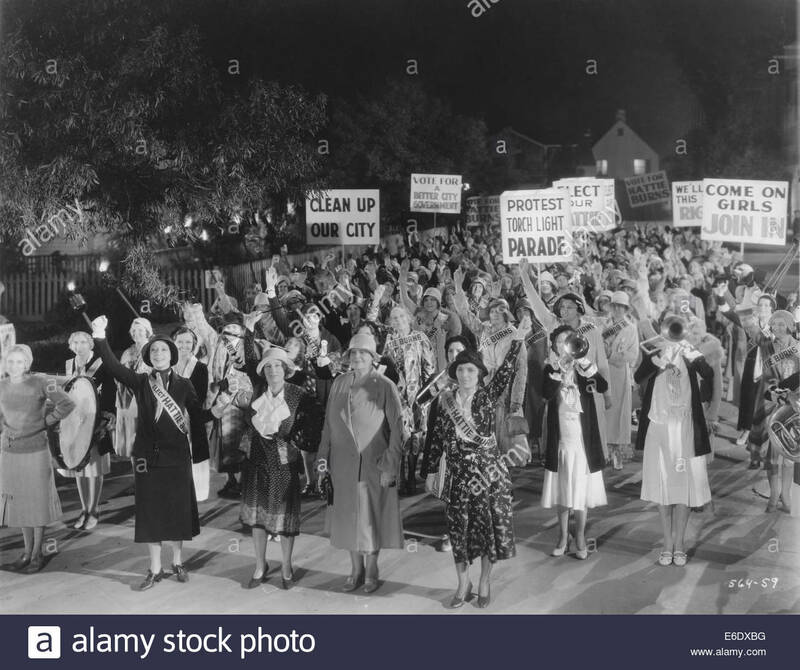 I hope you get the chance to see Marie Dressler in “Politics” (1931). I fell in love with that movie. She and Polly Moran make a great team. Thanks! It was a really fun time at the Vintage Film Festival. There were two Marie Dressler films this year: (1) Politics, which I loved; and (2) Anna Christie, which was meh. Sounds like a grand time (though you had me with the photo of the desserts!). The Marie Dressler museum and her house sound like great places for her fans to visit, too. They’ve done a thorough and lovely job. Rick, I think you’d LOVE the Marie Dressler Museum! Wow–I had no idea they were doing this in Port Hope–I’ll have to go next year! It’s so much fun! I hope you get the chance to go… Besides, a weekend in Port Hope is always lovely, no? Like some of the other comments above, I also know Marie Dressler from “Dinner at Eight.” Really interesting post! I knew she was still successful into her 60s, but didn’t realize she was still a top grossing actor then as you mention! Go Marie! I didn’t realize she was a top-grossing actor, either. Shows you how many people responded to her. Reading your blog is always a wonderful blast from the past! Thank you! Thanks for your kind words. I think your blog is terrific fun, because I learn so much valuable info…and gain a few pounds in the process…! This sounds like pure fun! 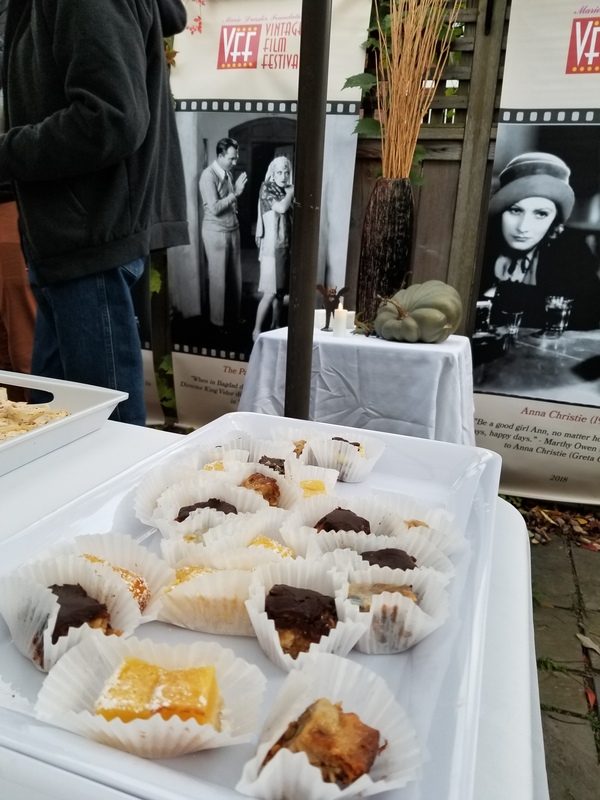 I love any film-related event! Israel surely needs more of those. A baby?! Congrats!! Now you HAVE to come to Canada!